and to all Allied servicemen held captive against their will. Patrick Brady left De La Salle College in Salford as a young teenager and worked for Marconi during their development of wireless telegraphy equipment. 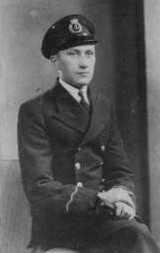 From there, he joined the Merchant Navy as a Radio Officer on the ‘Port Line’, sailing aboard merchant ships all over the world. He joined the M.V. 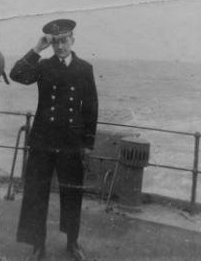 ‘Port Hobart’ as a Radio Officer and sailed out of Liverpool on 4th November, 1940 when he was just 19 years old. The Port Hobart was part of a convoy bound for New Zealand. 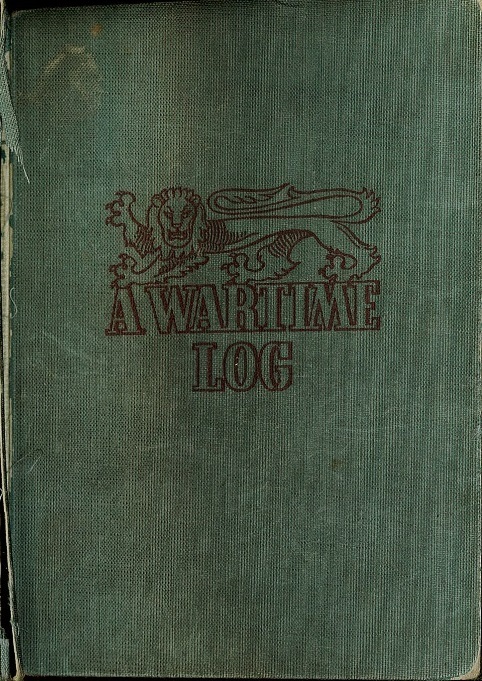 Sixteen days later she left the convoy to head for the Panama Canal on her own. On 24th November, as she headed for the Sombrero Channel and the Caribbean, smoke was spotted to the North West and closing very fast. As no Allied vessels were reported to be in the area, the master soon realised that it was German and an 'RRR' signal was sent out (a warning of attack by a surface Raider). At 11.57hrs the unidentified raider opened fire with large calibre guns from a range of two miles and, as instructed, the Port Hobart stopped. The raider, which turned out to be the pocket battleship ‘Admiral Scheer’ put an armed party aboard and the crew and passengers were removed, before the Port Hobart was sunk with charges and close range shelling. After some three months at sea, during which they were transferred from one ship to another, the captured passengers and crew were eventually landed on 1 March 1941 at Bordeaux, where they were placed in a transit camp at St. Medard en Jalles, known as Frontstalag 221. 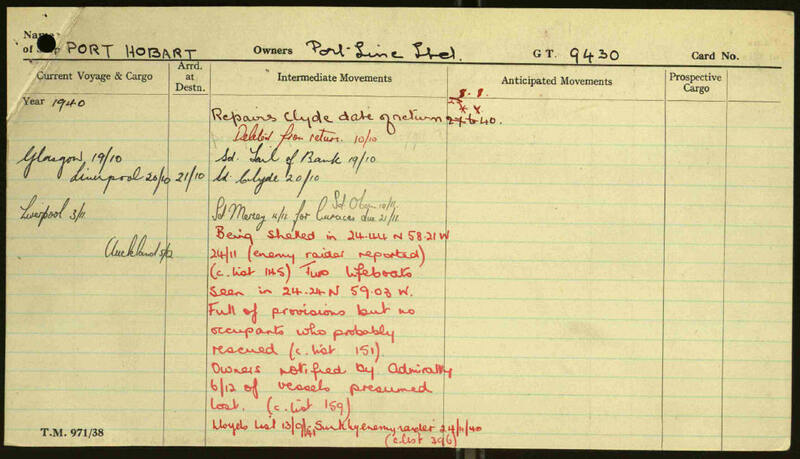 Conditions at this camp, which appears to have been a reception camp for personnel captured at sea, were described by a member of crew of the Port Hobart as 'terrible', and he speaks of a 'lack of adequate food, clothing and sanitation'. The living quarters consisted of rough wooden barracks, in each of which a hundred men slept, ate and passed their time. Each barrack contained a hundred bunks, but only four forms and no tables. One of the worst aspects of treatment at St. Medard appears to have been the considerable delay before permission was given to write letters. There was an interval of several months before either first letters or International Red Cross 'Capture Cards' reached their destinations. 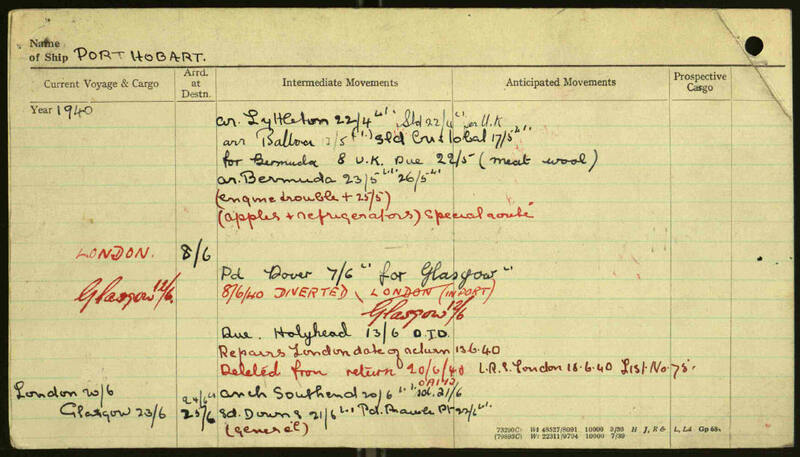 In early April, the whole batch of 'saved from the sea' at St. Medard was sent off to Germany. Most of the servicemen had an uncomfortable five-day journey in cattle trucks, followed by an 11 kilometre march which brought them, filthy and many of them none too fit, to the gates of the huge Stalag XB at Sandbostel, near Bremen. Inside was a population of 25,000 prisoners of all nationalities housed in overcrowded, drab, ill-lit wooden barracks, laid out in long rows with 'streets' between. Food was as bad as it had been at Bordeaux, if not worse; clothing issued consisted of dirty garments previously worn by other prisoners. Sanitary conditions were bad and medical supplies poor. Fortunately, members of the Merchant Navy remained in a separate 'Navy' compound at Stalag XB until the middle of 1942 and didn't suffer the same levels of ill-treatment as the the Jewish prisoners. After suffering dreadful conditions, malnutrition and dysentery in Stalag XB, the Merchant seamen were then marched 30km south to Westertimke, where they were forced to build their own camp – ‘Marlag und Milag Nord’. 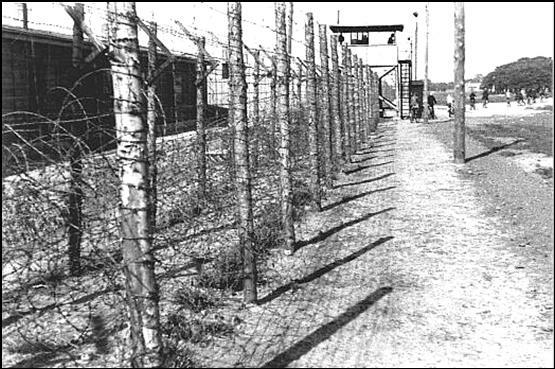 There were several escape attempts made (as depicted in the films ‘Albert R.N.’ and ‘The Captive Heart’), but most were to remain in the camp until its liberation in 1945. It was during their time in the less severe Milag Nord camp that deep-rooted friendships were made, as they passed away the hours sketching and carving with the likes of ‘Chippy’ Franshome; distilling illicit brandy from their Red Cross parcel contents with Gabe Thomas; playing poker and roulette in ‘Jimmy’ Takaki’s gambling den - and even staging Gilbert & Sullivan comic operas under the guidance of Arthur Gatward (see below for photos taken in the camp at the time). PORT HOBART was built in 1925 by Swan, Hunter & Wigham Richardson at Newcastle with a tonnage of 7448grt, a length of 466ft 10in, a beam of 59ft 10in and a service speed of 12 knots. 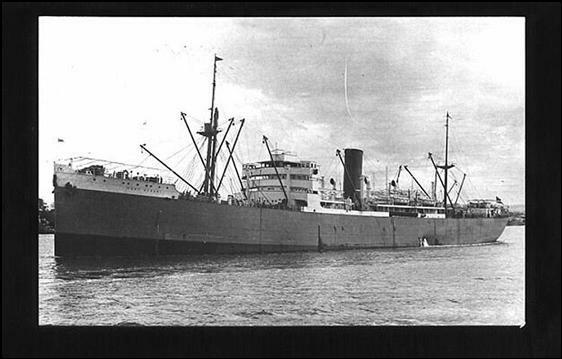 Sister of the Port Dunedin, she was delivered in July 1925. Ports visited included: Dakar, CapeTown, Melbourne, Geelong, Sydney, Brisbane, Lyttleton, Balboa, Cristobal, Bermuda and Curacao. Cargo included: Meat, Wool, Apples and Refrigerators. Admiral Scheer was a Deutschland-class heavy cruiser (often termed a pocket battleship) which served with the Kriegsmarine during World War II. 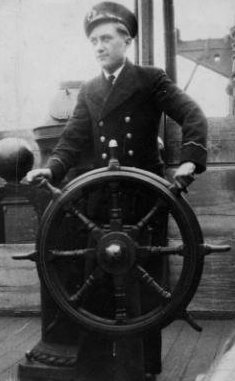 The vessel was named after Admiral Reinhard Scheer, German commander in the Battle of Jutland. She was laid down at the Reichsmarinewerft shipyard in Wilhelmshaven in June 1931 and completed by November 1934. The ship was nominally under the 10,000 long tons (10,000 t) limitation on warship size imposed by the Treaty of Versailles, though with a full load displacement of 15,180 long tons (15,420 t), she significantly exceeded it. Armed with six 28 cm (11 in) guns in two triple gun turrets, Admiral Scheer and her sisters were designed to outgun any cruiser fast enough to catch them. Their top speed of 28 kn (52 km/h; 32 mph) left only a handful of ships in the Anglo-French navies able to catch them and powerful enough to sink them. 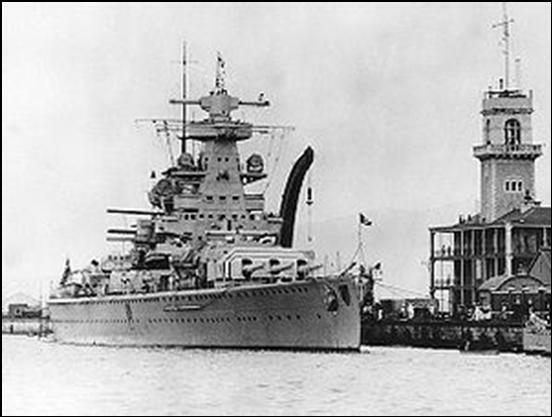 Click on the link for an extract from the book Pocket Battleship - The Story Of The Admiral Scheer which details the capture and sinking of the Port Hobart. The piece is co-written by Admiral Theodor Krancke, the Master of the Admiral Scheer in 1940. 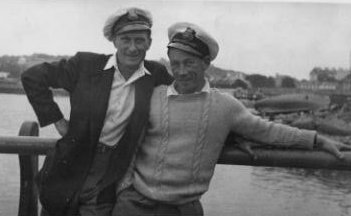 The wireless signals referred to in the piece were presumably sent by Patrick Brady, who was the Port Hobart Radio Officer at the time. Marlag und Milag Nord was a Prisoner-of-war camp in Military District X, located near Westertimke, Germany. There were over 5,000 Allied Merchant seamen captured by the German forces during WWII. 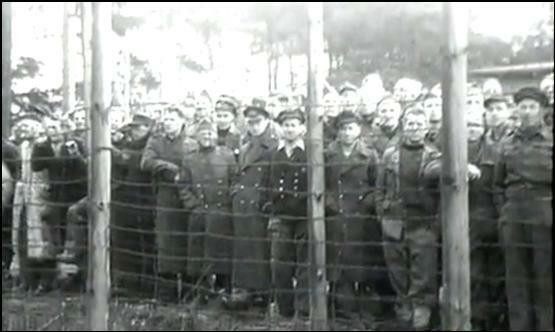 Some 4,500 of these mariners were held at the Merchant Navy Internment camp at Westertimke, near Bremen, Germany. 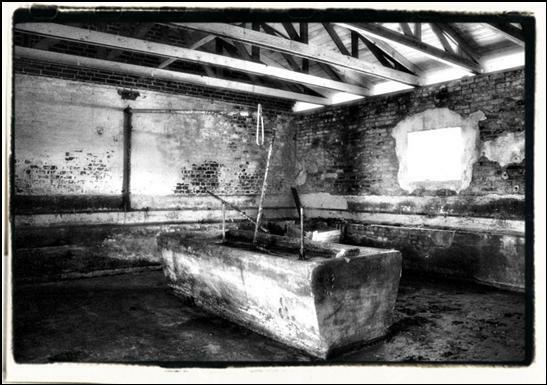 Milag (for Marine Internierten Lager), was first created as one of two compounds inside Sandbostel Concentration camp, for the purpose of housing captured Merchant seamen. An adjoining compound, Marlag (for Marine Lager) was for captured Royal Navy personnel. Between the Autumn of 1941 and the Spring of 1942 the occupants of these compounds were transferred to Marlag und Milag Nord, two separate but adjacent camps at Westertimke. 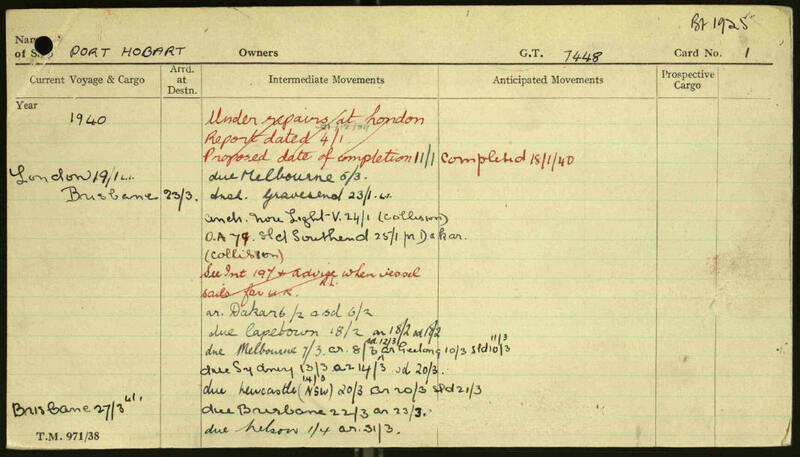 It is this virtually self-contained Merchant Navy POW camp that was referred to by the Merchant Seamen as MILAG, their previous compound in the concentration camp being generally known just as Sandbostel or Stalag XB. Stalag XB Sandbostel was a German prisoner-of-war camp located near Sandbostel in Lower Saxony, north-western Germany. Between 1939 and 1945, several hundred thousand POWs of 55 nations passed through the camp. 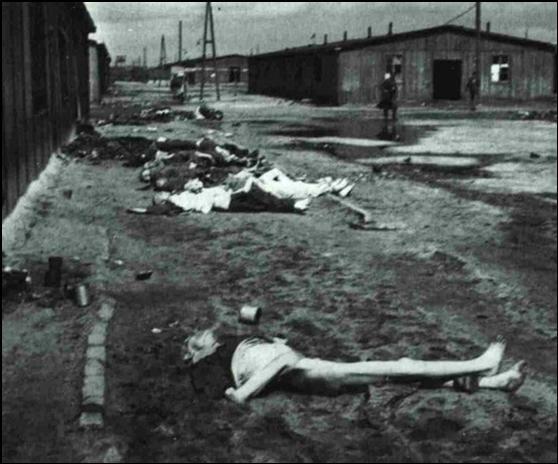 Due to the bad conditions in which they were housed, thousands died there of hunger and disease, or were killed by German guards. Estimates of the number of dead range from 8,000 to 50,000. 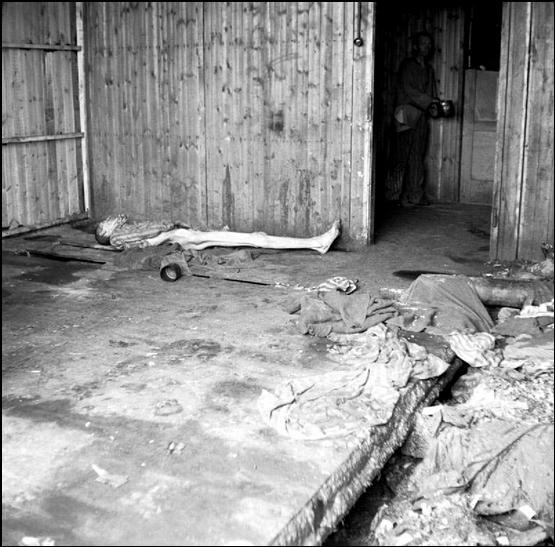 Members of the Merchant Navy remained in a separate 'Navy' compound at Stalag XB and didn't suffer the same levels of ill-treatment as the the Jewish prisoners. One of the POWs 'William Murray' jumped from the moving train in transit to the camp and his legs were paralysed as a result. Fortunately he was rescued by the French Resistance and repatriated to the UK. 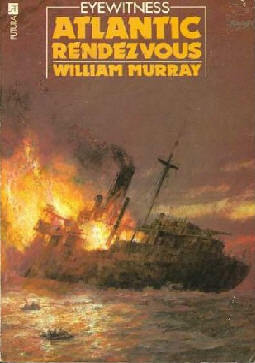 His book 'Atlantic Rendezvous' details Bill's moving personal journey and mentions Patrick Brady and some of his shipmates. 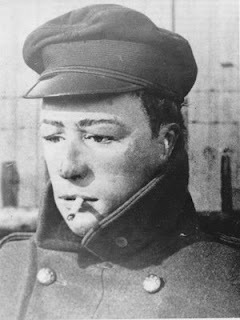 The POWs built a dummy ‘sailor’ (complete with cigarette) that they ‘marched’ onto the parade ground every morning, in order to fool the guards that were doing a headcount into thinking that nobody was missing. This gave the man who had escaped via the network of tunnels during the night, as much time as possible to get away from the camp and hopefully meet up with resistance fighters, who would transport him back to the UK. One of the tunnel entrances was underneath a wood burning stove in the centre of a bunk house. The POWs would ‘swivel’ the stove to one side and dig the tunnel during the night. 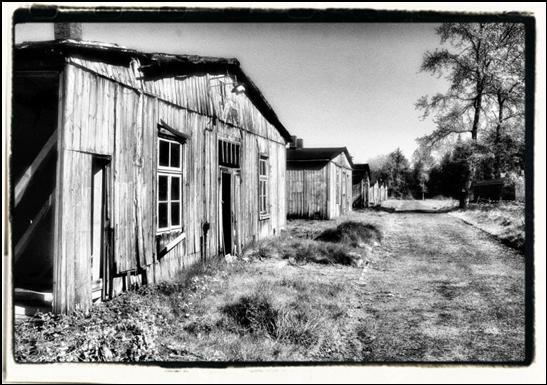 The camp huts, tunnels and buildings of Marlag und Milag Nord were used as the location for the film ‘The Captive Heart’ in 1946, as most of the camp had remained intact. All photographs are © Kieran Brady, National Maritime Museum and National Archives 2014 and must not be reproduced without prior permission.